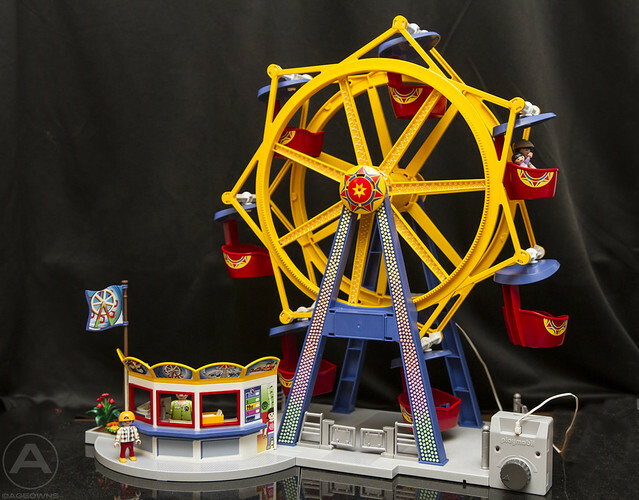 My wife and son got me the Ferris Wheel for my birthday (with optional motor). I took a ton of pics and a brief video so you can see the lights in action. It truly is beautiful. The only drawback is the noise of the motor, as demonstrated in the video. And check out the long exposure I did. Thank you for the review. I really like your movie. The set is very nice. Too bad that little motor produces that much noice. Parents are not going to be happy about it! The Ferris Wheel looks like a really great set nice and colurful and clearly plenty of play value for kids and adults, those light patterns are brilliant particuarly with the dark backdrop and that red light appearing to be eminating off of it beautiful a pity about the motor noise suppose it must be a lot louder in real life. Lots of great images. It's too bad about the sound of the motors. When you get all three going it gets pretty loud. Still the animation is nice. Thanks for the review - I had no idea the motor would be so noisy! 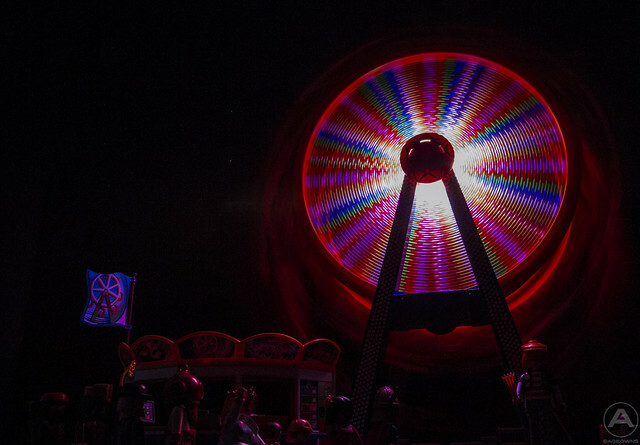 I have had the Ferris Wheel on my exhibition layout since spring. At first the motor was nosey but I put some oil on the gears of the Ferris Wheel and this made it quieter. However with it being run a lot at exhibitions it now O.K. This also applied to the Break Dancer and Carousel. Thanks for the review. The set looks great and I like all your pics!